In recent years, the educational technology market is growing rapidly. This phenomenon is explained by the increasing number of Massive Open Online Courses (MOOC) which provide learners an opportunity to study 24/7 at the top universities of the world. Information contained in such courses can be better structured, linked, and enriched by means of the semantic technologies and linked data principles. Given semantic annotations, discovery, and matching among learners, teachers, and learning resources can be made a lot more efficient. 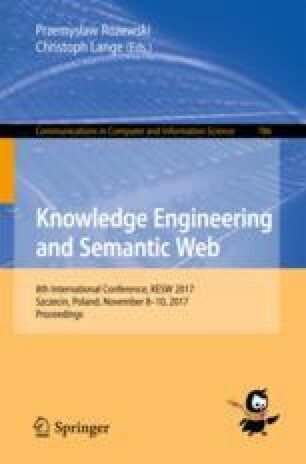 In this paper, we describe a method of metadata extraction from Open edX online courses for its subsequent processing. We solved the problem of a course representation at the formal and semantic levels, thus, both computers and humans could process and use the course following the ontology development. Also, we exploited NLP and RAKE technologies to integrate automatic concept extraction from course lectures. Triples are imported into RDF storage system allowing user the execution of SPARQL queries through the SPARQL endpoint. Moreover, plugin supports enriching and interlinking courses allowing users to learn the educational content of the courses on an individual trajectory. To summarize the above, it can be concluded that the considered data set is mapped at a satisfactory high level. The collected data can be useful for analyzing the relevance and quality of the course structure.